This comfortable home has it all! Two bedrooms upstairs...queen bed in one, 2 twins in the other. 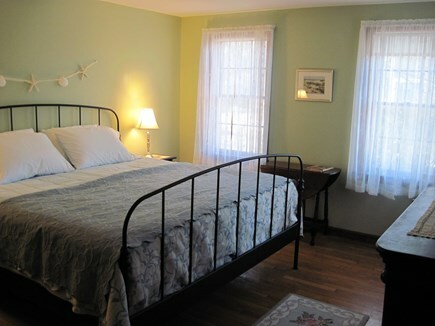 One bedroom downstairs has 1 king and sun room has a double pull-out sofa bed. Full bath on both floors. Light-filled sun room opens to deck and private backyard with hot/cold outside shower. Open dining/living room with sliders to deck. Fully equipped kitchen and 1st floor laundry. Hardwood floors throughout. Easy walk or ride to Skaket Beach for safe, warm water swimming and spectacular sunsets. Short drive to Nauset Beach to hit the surf. 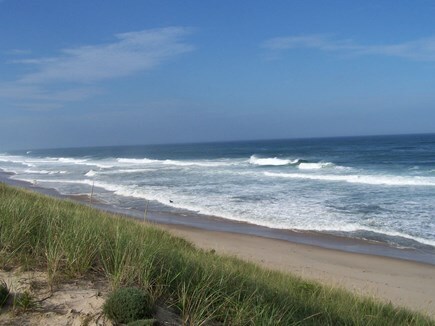 Convenient location for a day at the National Seashore and access to the Outer Cape...Wellfleet, Truro, Provincetown. Local trendy shopping and art gallery hopping in Orleans and Chatham. 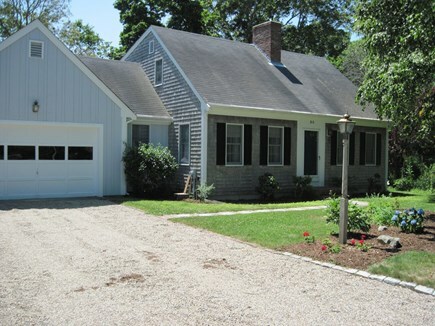 Close to Rock Harbor for deep sea fishing, near Cape Cod Bike Trail, fresh fish markets, public golf and many fabulous restaurants! Cable Television, Air Conditioning, and Internet Service!